A special thank you to Family Christian Stores for providing a book for me to review and a book to give away for today’s post. Most kids who grow up in a Christian home, and even many who do not, know the Christmas story. They know what a nativity is and why families put them up as decorations each Christmas. When it comes to children’s books around the nativity story, I have not noticed much variety. After all, it’s already the greatest story ever told! But then I stumbled across Mary’s Treasure Box. 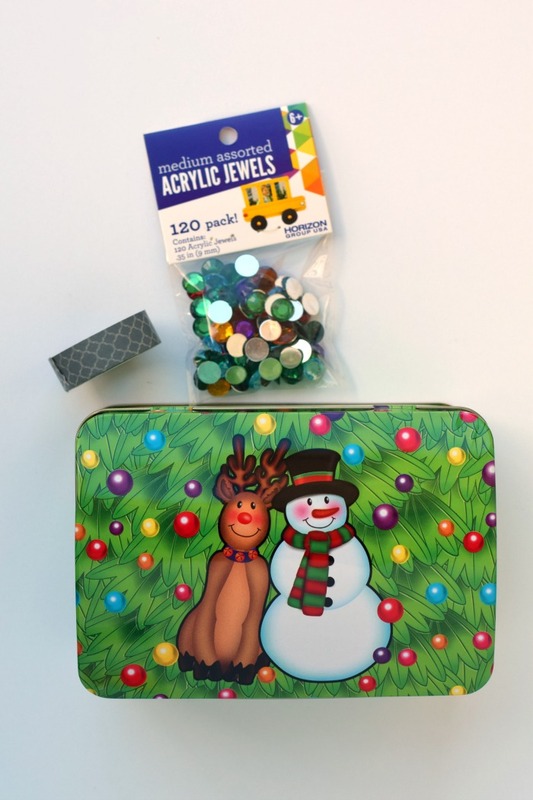 Mary’s Treasure Box offers kids (and adults!) a unique perspective of the nativity story. 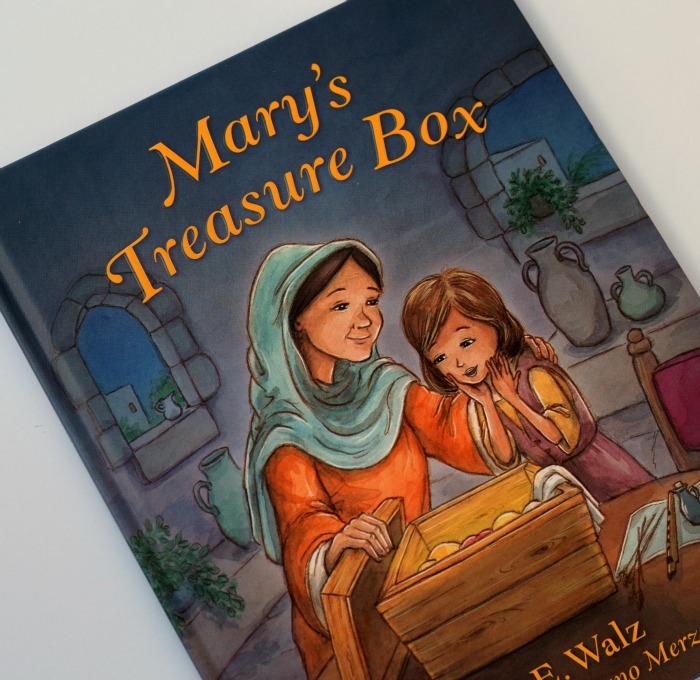 The book is from the perspective of Mary, but she is now a grandmother. 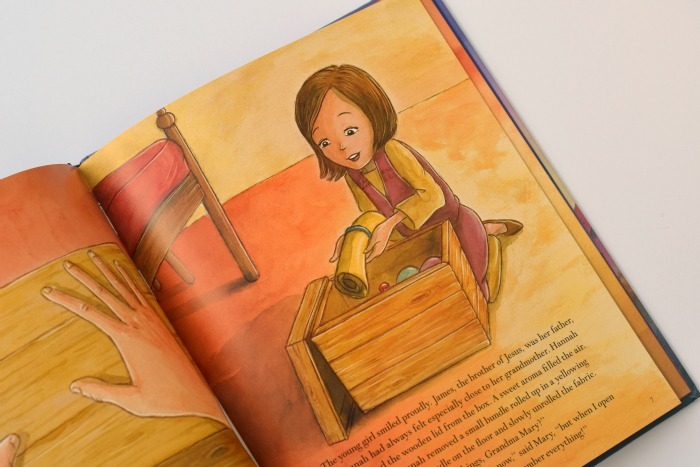 While spending time with her granddaughter, James’ daughter, the two find themselves perusing Mary’s special treasure box. Inside the box are mementos from the time when Jesus was born. By reminiscing through the box, Mary tells the nativity story. My daughter and I read this story after Christmas had passed, but she enjoyed the unique perspective so much that we have read the story many times since. As a mom, I always like the children’s books that have question and discussion points in the back of the book. This book has those, and they have been great conversation starters. 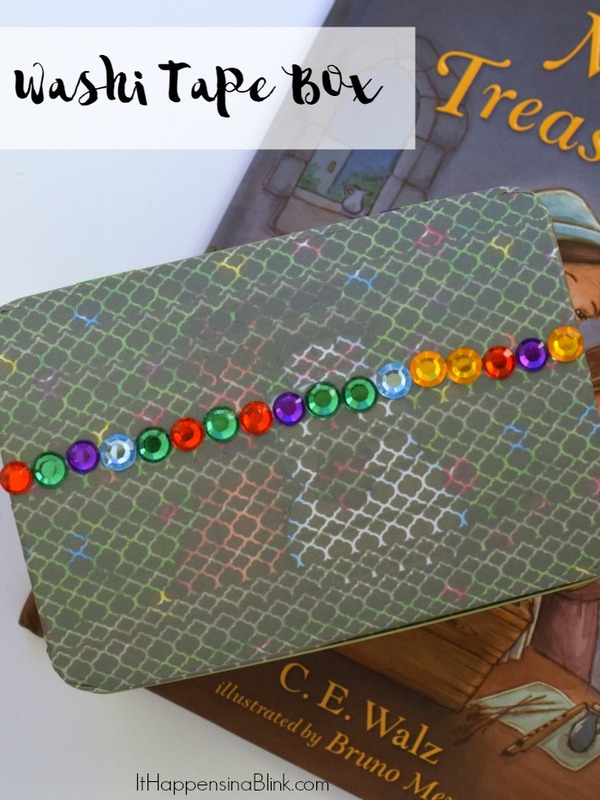 When reading this book, my daughter decided that she wanted to make a treasure box of her own. We discovered a few (free!) things around the house that she could use to make an easy Washi Tape Treasure Box. 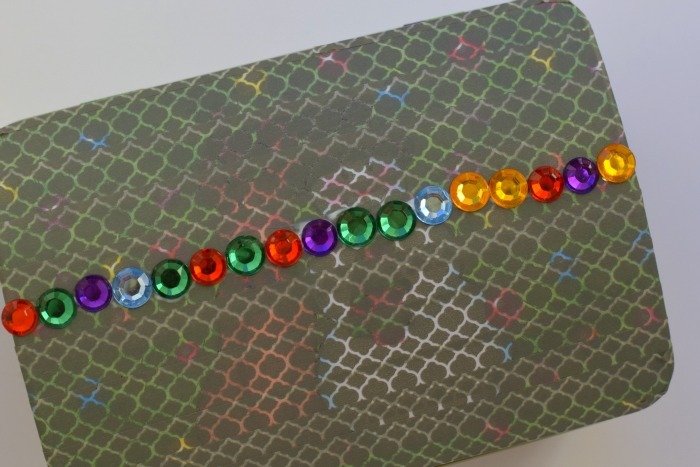 It is quick and fun for kids to make one if you would like to use it as an activity to go along with the book. This would work for home use or for a children’s church or Sunday School class. 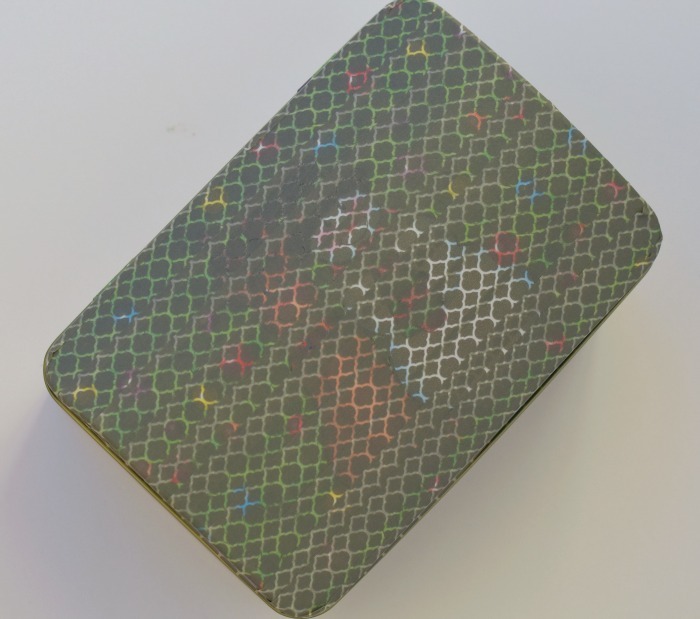 Small box- Use whatever you have! Leftover Christmas tins and little boxes are great for this. Have the child wrap the washi tape around the box. Help them with this if they need it. Using the craft glue, adhere the jewels to the top of the box. Let the glue dry completely. Let your child fill the box with their special treasures. 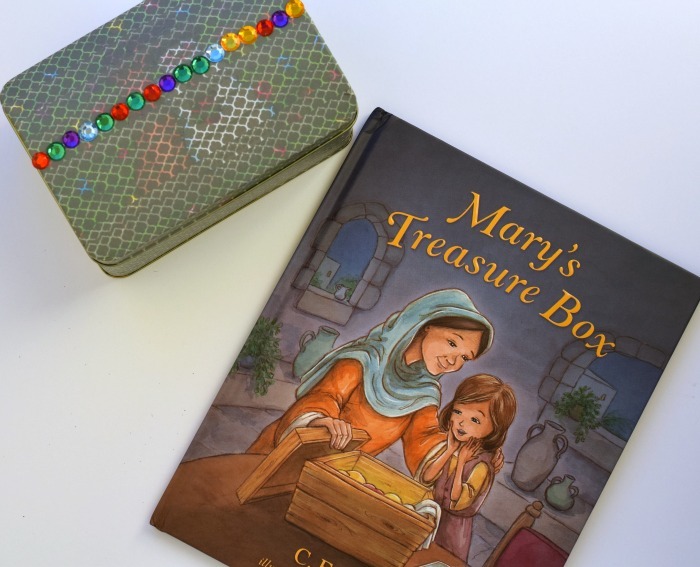 Want to win a copy of Mary’s Treasure Box? Family Christian Stores is allowing me to give one away! Read the fine print, and then use the below Rafflecopter form to enter to win! Disclosure and fine print: Void where prohibited. Open to US residents only.Only one entrant per mailing address, per giveaway. Giveaway sponsored by Family Christian Stores. Must be 18 to enter. The winner will be chosen by random drawing. Winner will be notified via email. Winner will have 48 hours to respond to the email in order to change their prize before a new winner is chosen. Prize will be shipped Family Christian Stores. Winner is subject to eligibility verification. Giveaway ends at 12 am 1/31/16. I’d love to add this book to our Christmas book collection for my kids! I’d give it to my friend’s grand daughter. I would give it to my nieces, since my own girls are too old. This book is just adorable. Thank you for your review and the giveaway! Thank you so much for a wonderful and personal review of my book, MTB. It is not only a book for young ones, but I wrote it for mothers and grandmothers, too.